RCM will “Tee It Up” for scholarships on Monday, June 11th at the Wisconsin Club’s Country Club. Over the past nine years, our Scholarship Golf Classic has raised more than $400,000, making it possible to provide assistance to the 23 scholars in our program today. But we can’t do this without the support of club members. One way to help is to donate an experience or an item to the silent or voice auction. -A mis-guided Fly Fishing Adventure from Jamie Reeve! If you have a silent or live auction item that you’d like to donate, please reach out to the Rotary office. All contributions are tax deductible to the full extent of the law. 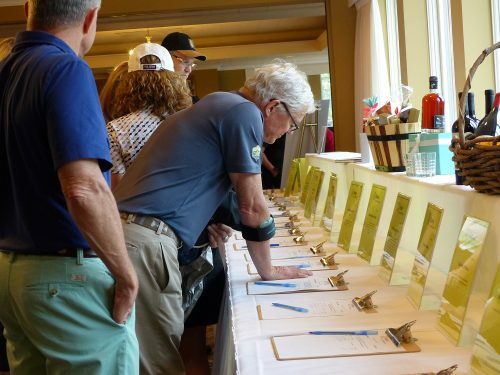 Golfers participating in our 2017 silent auction.